Storm King’s Fall Parents Weekend took place on Friday, October 12, and Saturday, October 13. More than 50 families visited the campus to meet with their children’s teachers and get an inside look at academic and student life at Storm King. As families arrived at lunchtime on Friday, they were greeted in Orr Commons with homemade baked goods and smiling faces before heading off to meet with faculty members to discuss their children’s academic progress. The crisp fall weather was perfect and the campus was bustling as families walked from building to building to attend their scheduled meetings. As evening set in, parents made their way up to The Homestead for a reception hosted by Headmaster Jonathan Lamb and Toni Scherrer. There, they sampled light fare and socialized with faculty members and fellow parents. 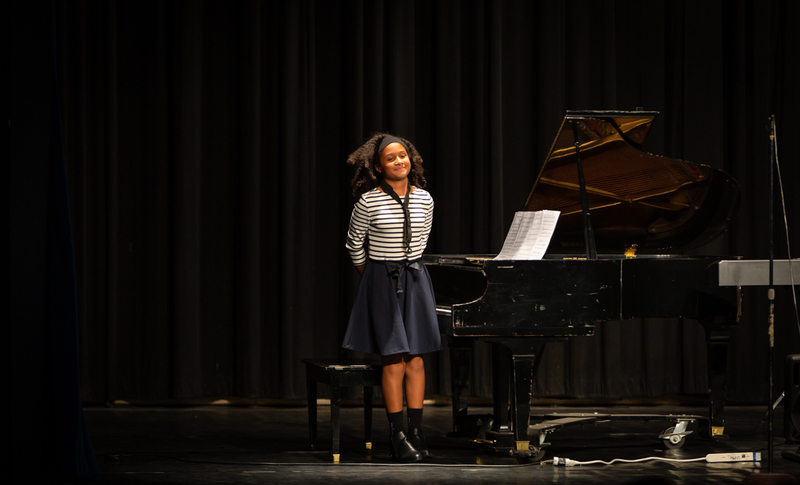 Following the reception, all were encouraged to attend a formal dinner at Henderson Dining Hall before watching a student music, dance, and visual arts recital in the Walter J. Reade Theatre highlighting the students’ talents. 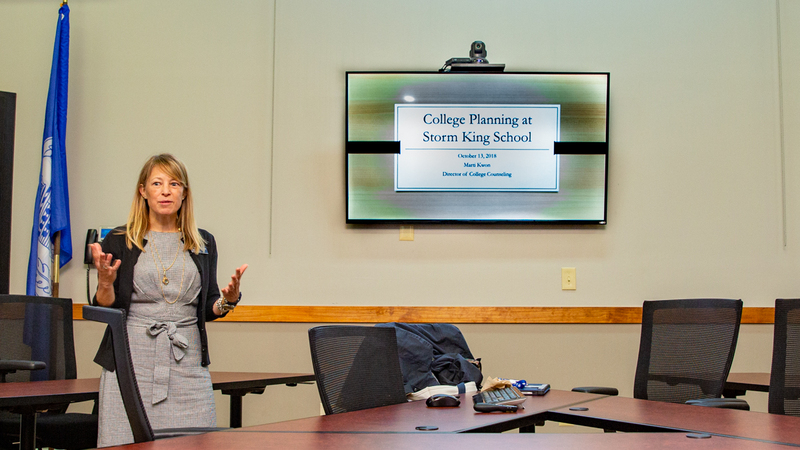 On Saturday, Parent-Teacher meetings continued throughout the morning, followed by a College Planning Workshop hosted by Storm King’s College Counseling Office. During the workshop, Storm King’s Director of College Counseling Martha Kwon covered important areas such as the application process, what do colleges look for in an application, how to get started, and tips and strategies for students in each grade level. After the workshop, many parents remained on campus to watch one of the five home athletic games on Saturday afternoon. With no classes scheduled for Monday, October 15 and Tuesday, October 16, many families took the opportunity to leave campus after the games to enjoy a long weekend with their children. Friday evening’s recital was one of the highlights of the weekend with outstanding performances and artwork by our students. Arts Department Chair John Carruthers, Theatre Director Anne Fulton, Music Director Alva Nelson, and Dance Instructor Jeanette Jacobson were all very pleased with the outcome of the show. 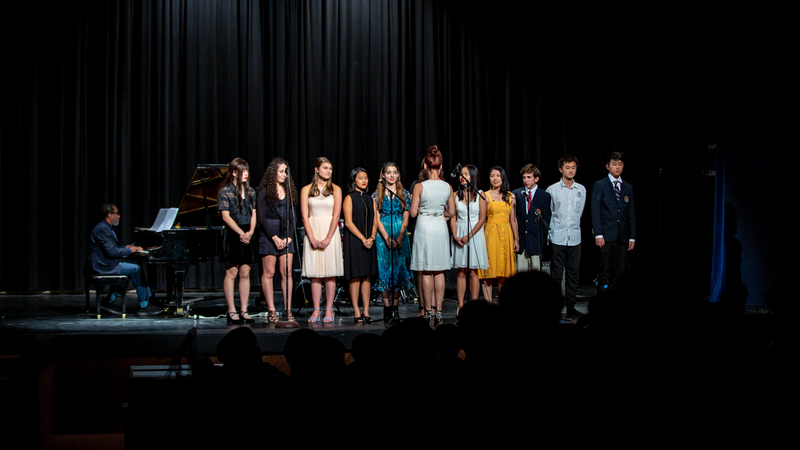 “Congratulations to all who performed and had their works shown in our Arts Recital. 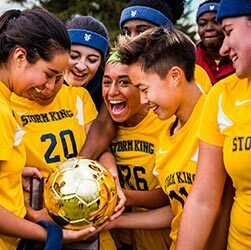 There is so much talent at Storm King – those of us who work with our young artists are gratified to watch them grow and take artistic risks, even as we’re only two months into the school year,” explained Mrs. Fulton following the show.